Full links and background on the 2012 ocean fertilization scheme by HSRC. In October 2012 ETC Group uncovered that a commercial geoengineering firm had quietly carried out the world's largest geoengineering deployment to-date (in July 2012). The Haida Salmon Restoration Corporation (HSRC), which names former Planktos CEO Russ George as both Chief Scientist and Chair of the Board, dumped at least 110 tonnes of iron powder into the Pacific Ocean west of the islands of Haida Gwaii (Canada). The iron dump might have been responsible for some or all of a 10,000 square kilometer plankton bloom that was captured in satellite images and was visible from space. To finance this risky scheme, HSRC reportedly used 2.5 million dollars belonging to an indigenous community, promising the community would receive (non-existent) carbon credits in return. When the news became public as a result of ETC Group's investigations, it caused a wave of concern among scientists, governments, the public and of course the people of Haida Gwaii. HSRC have since said they intend to carry out further ocean fertilization dumps. ETC Group has long campaigned for a global ban on geoengineering and lobbied governments in international fora to support restrictions on geoengineering activities such as ocean fertilization. (There are now two international moratoria on ocean fertilization activities). On this page we have collected some of the background on the Haida Gwaii ocean fertilization episode, how the story was reported, the legal situation, the science and more. ETC Group has called on the Canadian government to investigate HSRC for carrying out this ocean fertilization dump and to prosecute as appropriate. We also urge HSRC and the Old Massett Village Council to announce that they will not carry out any further geoengineering activities. ETC Group continues to press for a full ban on geoengineering at the international level. If you would like to support our work to stop geoengineering, please consider making a donation here. The Case Study - Read our information backgrounder explaining how ETC Group uncovered the Haida Gwaii ocean fertilization dump and what happened next. The Legal Story - Ocean fertilization is subject to at least two international moratoria (temporary bans) as well as a more general UN moratorium on geoengineering. Read a primer prepared by international lawyer Duncan Currie detailing the legal situation. The Scientific Story - Oceanographers and others have been roundly critical of ocean fertilization as both a threat to marine life and as unlikely to address climate change. For an overview of why the science of ocean fertilization doesn't add up, see here, here and here. 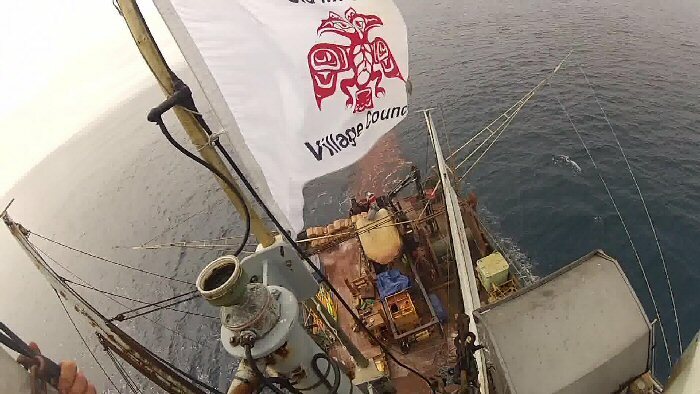 The Media Story - ETC Group's exposé of the ocean fertilization dump west of Haida Gwaii touched off a storm of global concern and condemnation. See here for acompilation of some of the media reporting on this topic. The Bigger Story - ETC Group is working towards a global ban on geoengineering. We believe geoengineering is dangerous and an inequitable and false solution to climate change. You can read all of our research and background materials on geoengineering here. A good introduction is our short report: Geopiracy: The Case Against Geoengineering.